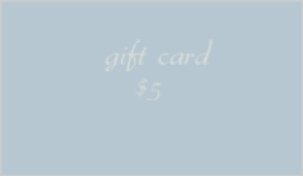 A gift card for $5 to apply towards any of the books within my series of interconnected stories Lovecontu Song de Light Lovecontu that includes Ancient Script of Lovecontu audio poem, Legend of Song de Light audio book, Legend of Song de Light audio play, and Lovecontu Song de Light Lovecontu audio set. The coupon code is "giftcard$5" and is valid through December 31, 2018 in my book boutique. For more information about the stories, please select the video to view an excerpt stream, and further details for the $5 gift card. If you have any questions, including now, and as you listen to and read the stories, please ask. I can be reached at this email address, melodicprose@kaitlynzq.com, or any of the other ways listed on the contact page on my website.